Since 2004, I have been a member of the One Campaign (www.one.org). This organization works to eradicate extreme poverty in our lifetime and to fight the spread of preventable disease, particularly in Africa. Bono is a founding member, and Matt Damon is a well known advocate. About once a month I get an email asking me to sign a petition or contact a congressman for ONE to advocate legislation geared towards the United States fulfilling our commitment to these causes. 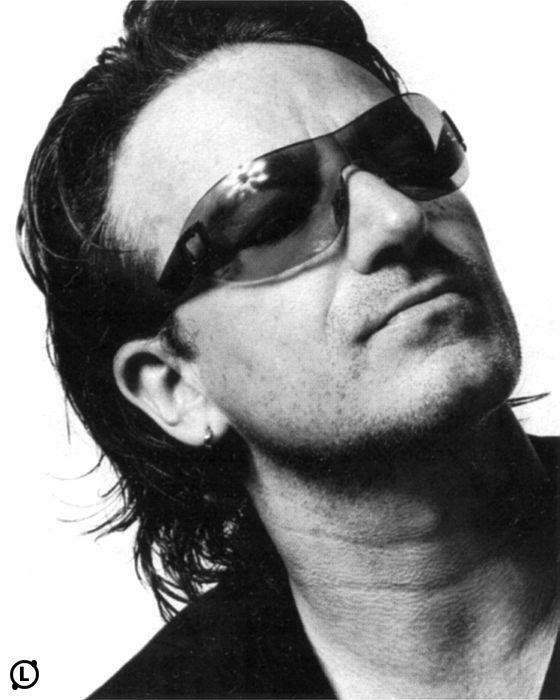 I am a long-time U2 fan – my first show was the Zoo Station tour for the Achtung Baby album and I have been to most of the tours since. But this time, because our financial situation was a little bit precarious, we decided not to get tickets. I was pretty bummed – but we agreed that it couldn’t be a priority. I had about given up hope and determined that we would just watch our Elevation Tour DVD that night from home. The week before the show, I got an email from the ONE campaign saying they needed volunteers. I applied, but they said they would select people via lottery and they would have few slots but many applicants. I applied even though it was a long shot, and a few days later was accepted. I honestly thought I’d be working for ONE throughout the show – that I’d miss the concert but at least I’d be able to be in the building helping a cause I really believe in. As they began to email me with details though, they hinted that we’d have great seats and that there would be a special surprise. They allowed me to bring a guest – so my friend Angie and I showed up on the day of the show ready to work hard and have fun. We began working at 3 pm – working lines and public areas asking people to sign up for the ONE Campaign. Here is an article about volunteers like me from a show in DC. We walked around with laptops signing people up for ONE. I was hoarse that day to begin with and by the end of the night I had no voice whatsoever. But it was fun to tell new people about this organization and talk to the existing ONE Campaign supporters who had been long term members and understood the value of this organization. Bono gave some statistics during the show about what ONE has achieved – and they were pretty amazing. Millions of children’s lives have been affected by this group – our emails and petitions really have made a difference! That was the part of the show that got to me. During one of their songs, they showed these beautiful stark pictures of real people around the world that ONE is fighting to save. One of the photos was of a baby reaching out towards the camera and when I saw that, I saw Bekah. She was the same age and just as beautiful, just as perfect. But she was born somewhere where Malaria, AIDS, starvation, and death are a constant threat. And regardless of my political affiliation, my command from my King Jesus says that taking care of her is my problem. THAT is why I support ONE. Because they, without any party affiliation, advocate for the least of these. And it truly is non-partisan, Bono himself praised from the stage the amazing work of President Bush in Africa – so although some people think this is a liberal cause – it isn’t. It is a human cause. Anyway – back to the night. We were brought in from the backstage tunnel right after the band and were able to watch the show from the inner circle of the stage. And we were able to go ON stage to represent ONE during the song “Walk On” holding a mask of Aung San Suu Kyi in front of our faces (with the band playing behind us – we couldn’t turn and look – I wanted to SO bad!). Here’s a far away view of us on stage. If you happened to take a better picture – let me know. Angie and I would LOVE to have one! All in all – it was an incredible night. (If you are interested in pics and some video Ang and I shot – check out my Facebook page). Anyway – Angie and I would have gladly worked the show for ONE even if the incredible tickets and the time on stage wasn’t a factor. We really both do believe in that cause and if you aren’t a member, sign up now. They’ll never ask you for money and never sell or trade your email – but they will keep you updated about what is happening in our world and give you a chance to make a difference.